A beautiful vintage classic-designed jewelry box, embossed with a regal lion's head on both sides and a Celtic emblem on the lid top, hold all your little prized trinkets in this intricate, miniature treasure chest. 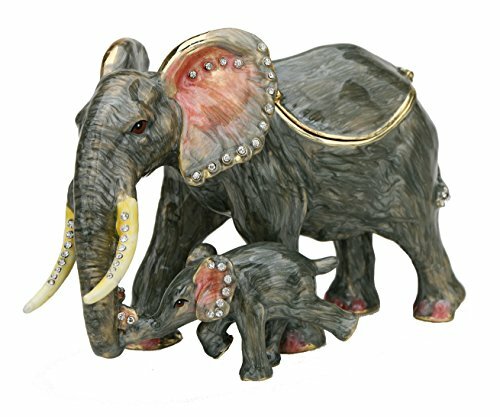 Made of zinc alloy, it has the beautiful look and feel of silver pewter without the high cost. You can store all your small jewelry including rings, earrings, necklaces and bracelets, and other small objects like loose buttons. 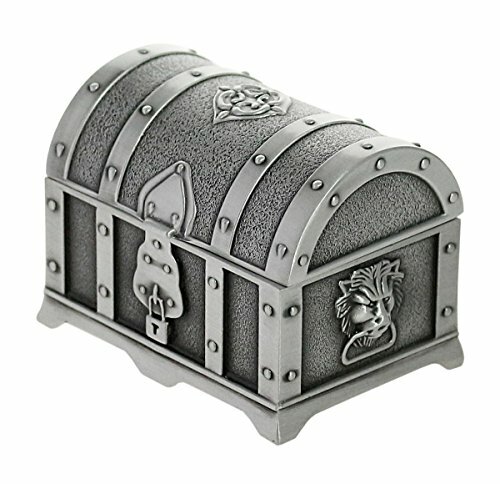 A beautiful treasure chest straight out of a fantasy tale, this makes a great gift for yourself or someone you love to regally hold and store one's treasured possessions. Specifications: - Material: Zinc Alloy with Floral Engraved Surface - Net Weight: 2.11 lb / 960g - Color: Antique pewter silver Package List: - 1 PCS Antique Jewelry Box Exquisite Design - Handcraft Antique Metallic Floral Engraved on the surface. - Implemented metal locking buckle adds extra security to your jewelries (Locker Excluded). - Durable Lined with blue velvet to protect your precious jewelry worn. - Dividers inside for arranging Rings, Earrings, Bracelets, Necklaces or Watches Separately. Multiple Moods - Antique color and exterior increase the retro aesthetic to decorate your personal dresser. - Exquisite Gift for Birthday, Retro Collector, Wedding Centerpieces, Special Occasions, Anniversaries. About Color Difference: - Antique Jewelry box may exist may have a little color difference for each batch from factory. Also there might be color difference, due to the computer screen display differently. Hope you could understand! Maintenance Methods: 1. Please clean the jewelry box with a soft, dry cloth. 2. No need to wash blue lint inside. 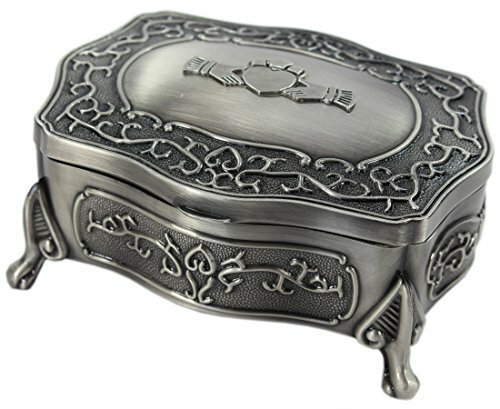 Hold your most precious items with this pewter Claddagh jewelry box! This jewelry box is hand crafted and features the traditional Irish Claddagh symbol on the top to represent love, loyalty and friendship, making this a perfect gift for a loved one! 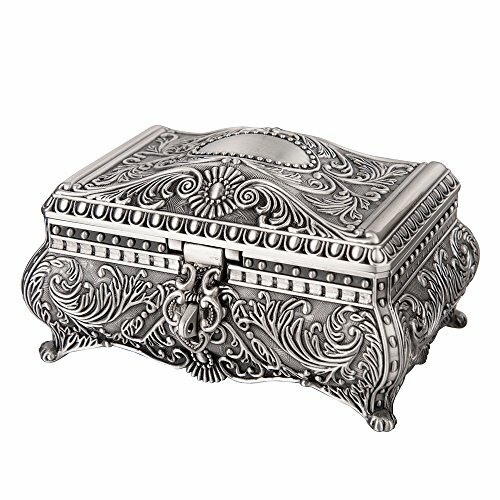 This beautiful jewelry box is made from beautiful pewter and features gorgeous weaves on the top as well as on the sides. The box measures approximately 5" x 4" x 2". The inside is lined with stunning red velvet guaranteed to keep your jewelry safe! This stunning Claddagh jewelry box is made by Mullingar Pewter located in Co. Westmeath, Ireland. Mullingar Pewter are renowned for the finest grade pewter! Get this Claddagh jewelry box today for someone special! Lillian rose 2"x5" fairytale coach pewter tooth & curl box. This silver pewter tooth and curl set includes two carriage boxes and a lead horse. 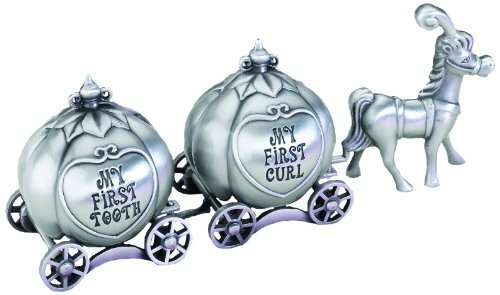 One carriage pumpkin is engraved with the words "my first tooth" and the other with "my first curl." both pumpkins sit unattached atop their wheel base. A hinge at the bottom of each pumpkin allows them to be opened and closed. The insides are lined with blue velvet. Although the three pieces that make up this set are not connected, they do hook together (as pictured). Sizes: horse = 1.5" wide x 2" tall. Each carriage = 1.5" wide x 2" tall. When all 3 pieces are hooked together, the entire set measures 4.75" long. Heirloom quality pewter from Crosby & Taylor is hand cast and finished by American artisans. 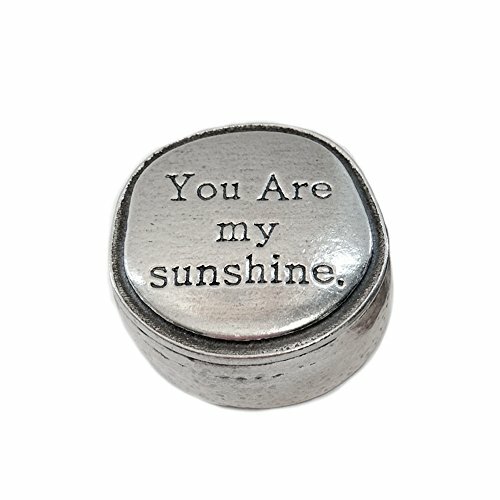 This tiny sentiment box is sure to warm the heart of your special someone. Due to handcrafting, variations and minor imperfections should be expected and add to the individuality and character of each piece. 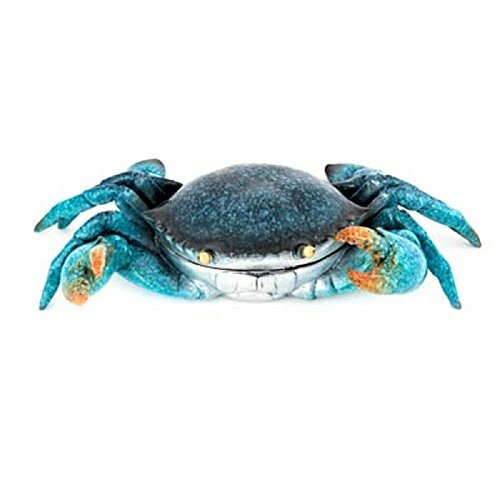 A Decorative Crab Made of Polystone With a Brilliant Blue Finish That's More than Just a Figurine - This Crustacean's Shell has a Hinged Lid That Opens Up to Reveal a Storage Compartment for Small Trinkets and Treasures. 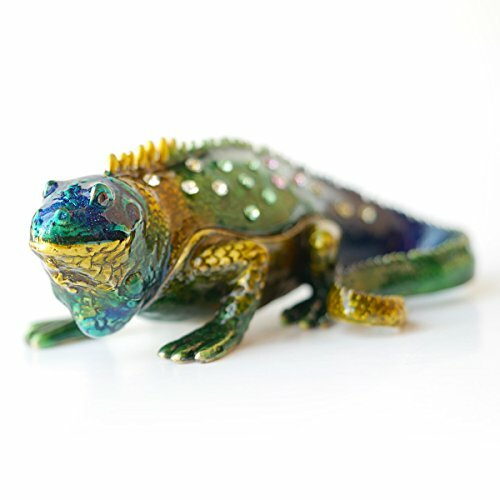 Great Size- 9.5"x 6"x3"
Chameleon trinket box comes with Rhinestones. A lot of detail added to the box. Material: Dec Metal with detail texture, rhinestones accents and hand-painted colorful enamel finished. Usage: Perfect for jewelry storage, decoration, collectible and giftable. Carved with intertwined vines and birds in flight, Close to me is a mother/daughter figure that expresses the connection, yet freedom, which exists in the best of relationships, near or far. Willow Tree is a reminder of someone we want to keep close, or a memory we want to touch. Hand-carved figures reveal their expression through body gestures only… a tilt of the head, placement of the hands, a turn of the body. Each piece is designed to be open to interpretation from the viewer. “Willow Tree isn’t so much about the tangible piece. It represents an emotion, or it marks a memory.” –Susan Lordi A gift of Willow Tree communicates beyond words. 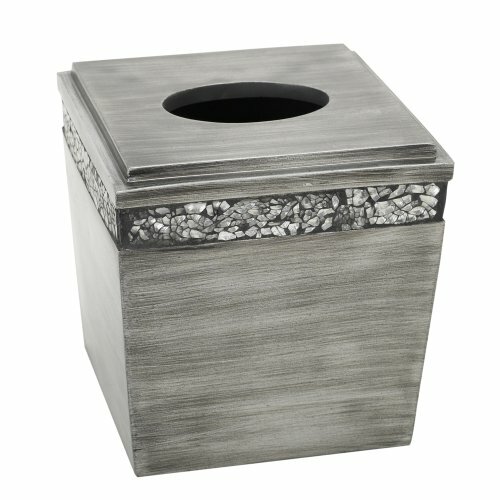 Looking for more Pewter Box similar ideas? Try to explore these searches: Red High Heel Pump, White Floral Tank Top, and Explorer Gear Bag. Shopwion.com is the smartest way for comparison shopping: compare prices from most trusted leading online stores for best Pewter Box, Commercial Spa Blower, Bronze Venetian Glass, Box Pewter . Don't miss this Pewter Box today, April 20, 2019 deals, updated daily.